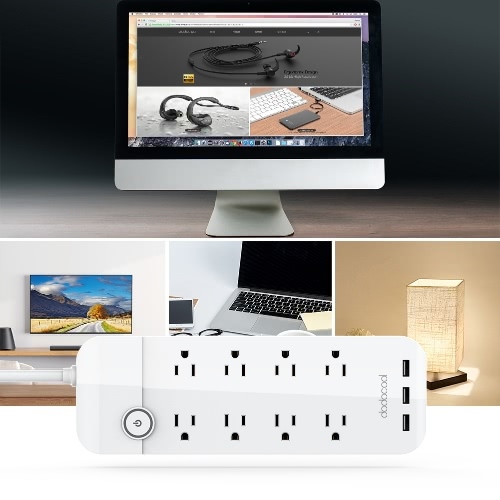 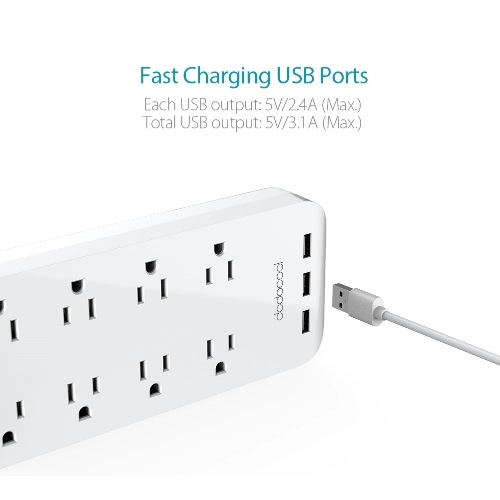 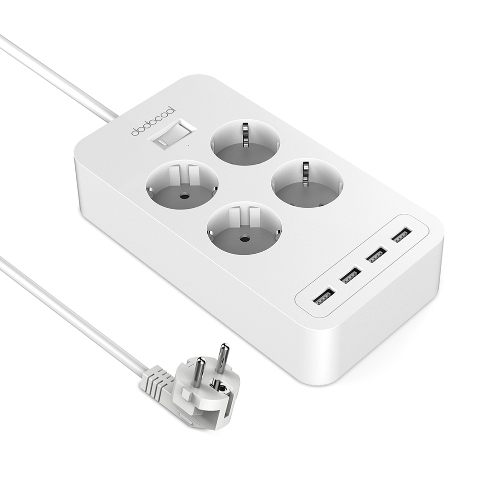 dodocool 8-outlet Surge Protector Power Strip with 3-port USB Charger turns one 3-prong outlet into eight surge protected AC outlets and three smart USB charging ports. 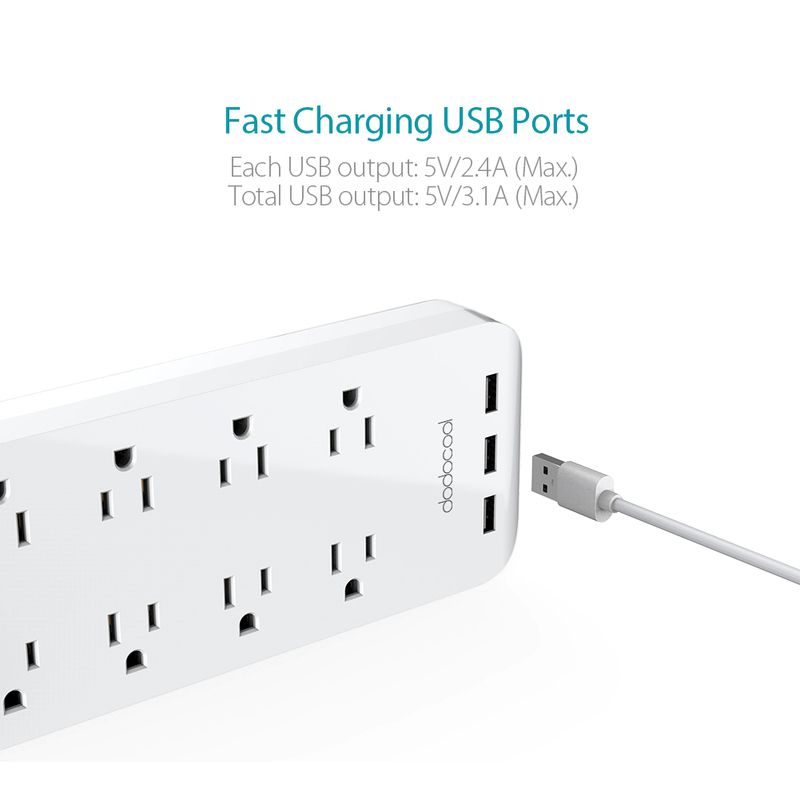 It lets you power up to eight appliances and three USB-A powered devices simultaneously. 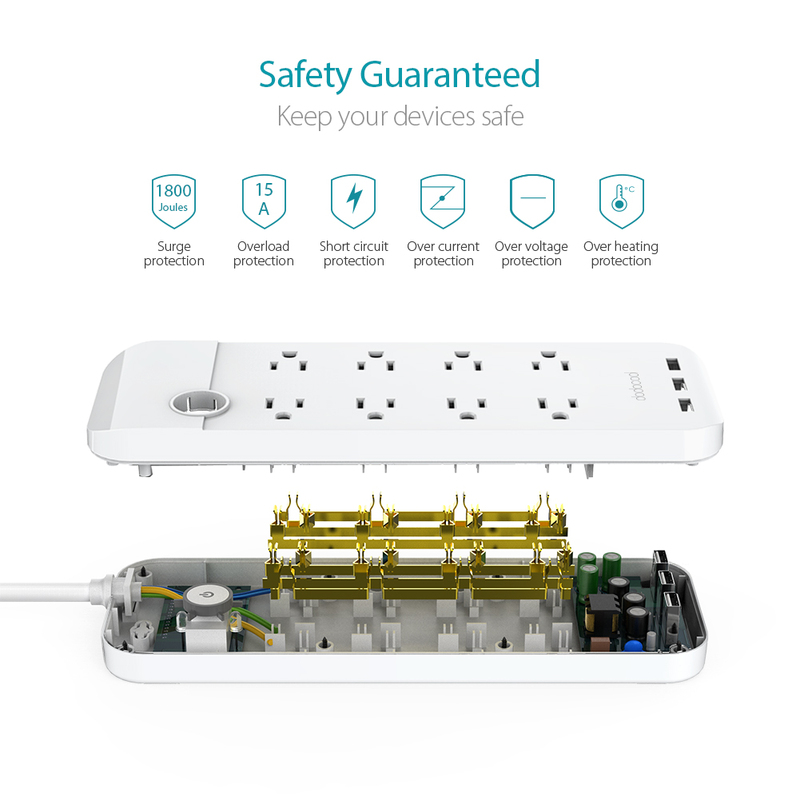 Premium components and multiple protections keep you and your devices safe. 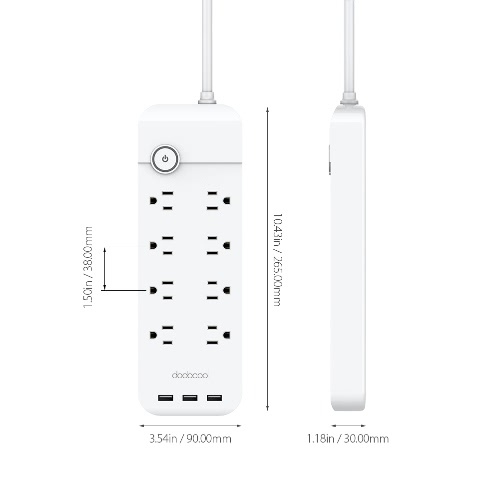 Charge USB-A powered devices directly, without connecting power adapters. 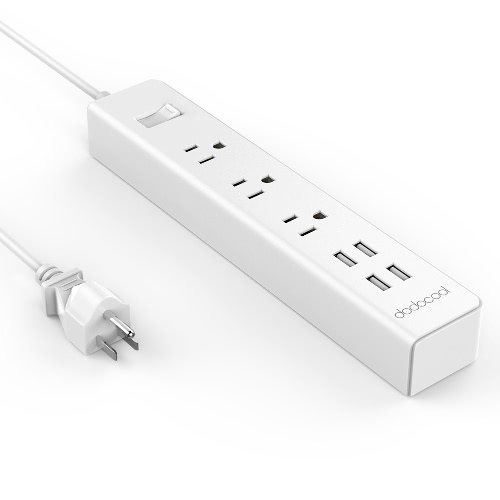 With the master switch, it's easy to cut power to conserve energy. 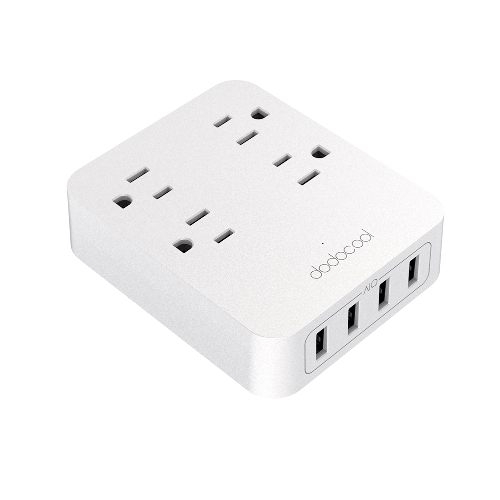 A total power output of up to 1875W enables you to power up to 8 appliances and 3 USB-A powered devices simultaneously. 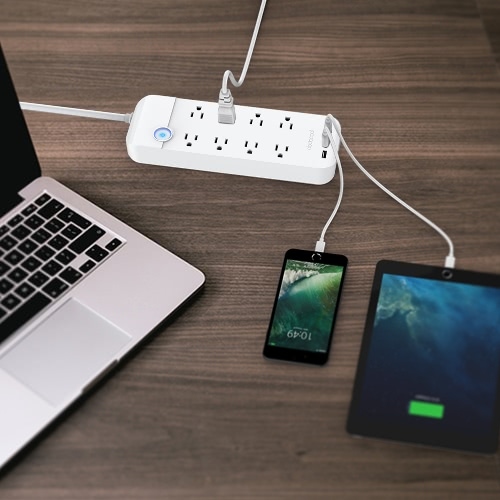 Keep your electronic devices safe from voltage fluctuations, surges, spikes and lightning strikes. ETL listed and FCC certified. Built with high-quality components, enhanced circuitry and flame retardant housing, it offers up to 1800 joules of surge protection, a 15A resettable circuit breaker, output over current protection, over voltage protection, overheating protection, short circuit protection, and overload protection. 3 universal USB-A charging ports can intelligently deliver the optimal current to USB-A powered devices, up to 5V/2.4A per USB port and up to 3.1A in total. 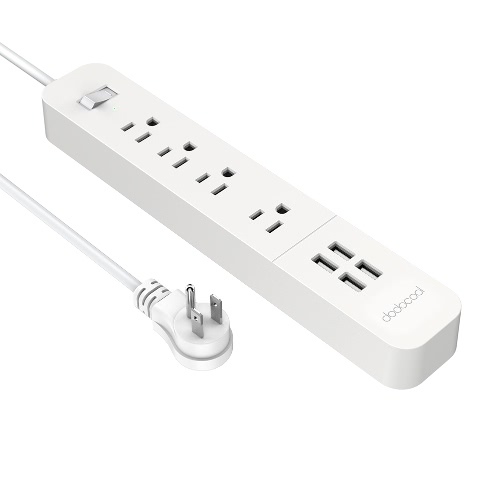 Power on or off several electronics at a push of the built-in illuminated power switch. The 4.92 ft heavy-duty power cord delivers optimal, safe power and enables easy connections to a distant wall outlet. Compact and space-saving design keeps your desk neat and organized. 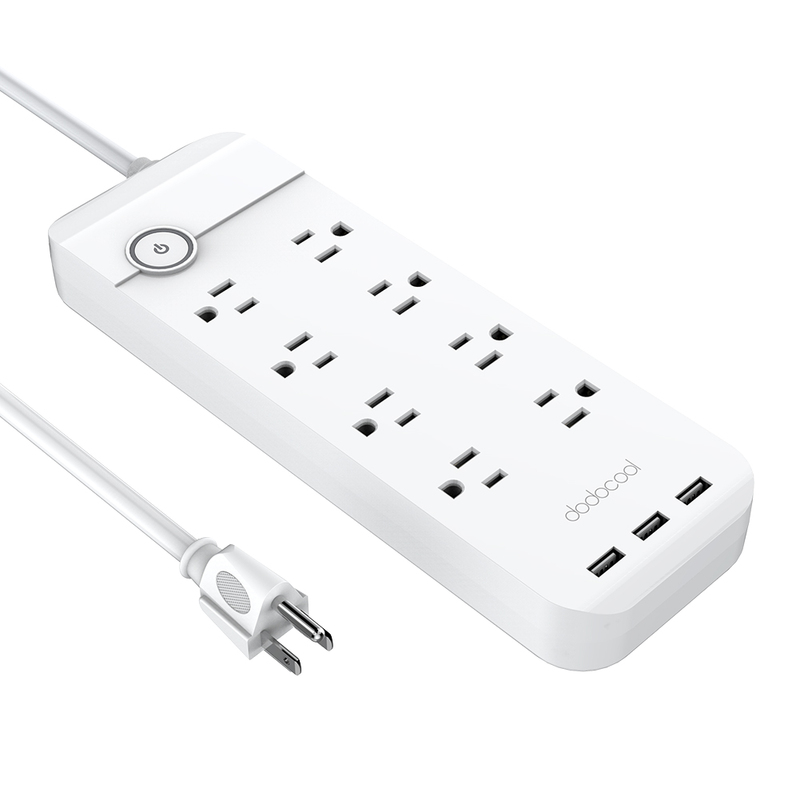 Well-placed outlets enable more convenient plugging and less conflict between plugs. 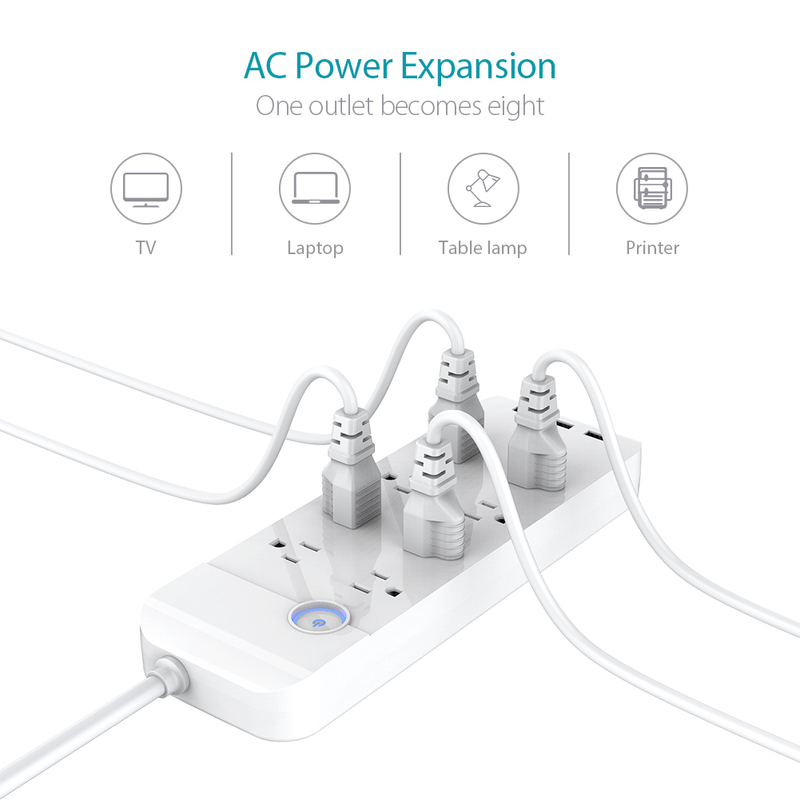 It can accommodate larger power adapters. 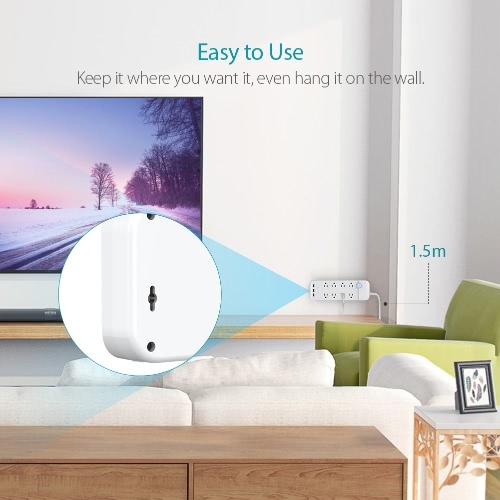 2 keyhole slots on the rear of the housing enable it to be mounted on a wall.